This makes all those celebrations a lot less stressful. Birthday season—it’s like the flu. When it comes, it comes at you hard. 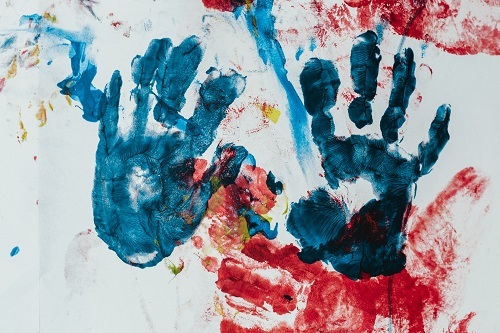 I’m no expert but I’ve attended my fair share of birthday parties in my three-and-a-half years in the parenting game and have learned some lessons along the way. Since our daughter’s social agenda has become ours as a family, my husband and I have created a system of parenting tricks to save our time and sanity as we get through the bustle of birthdays. I respond to the invitation immediately and make sure it’s in both my and my husband’s calendar. With the event in the calendar, I don’t feel as if I forgot anything or surprised when the day rolls around. I use the party as motivation to get my daughter to move quickly. I keep a stack of blank greeting cards in the car with a pen. That way, we don’t have to make a separate stop at the store to buy a birthday card, or go searching for a card in my home. I grab one and fill it out in the car so I’m not wasting any time as we make our way to the party. I give my daughter an on-the-way activity to keep her occupied. I pass her the card and envelope, plus stickers I also stash in the car. Then, she can decorate the card and envelope. My daughter loves this activity. The best part is how proud she is of that card. It keeps her entertained while I take five minutes to set up a Littlefund for her friend. I enter a guardian’s email, choose a goal and amount, then hit send. It works like a gift card. I’m biased since I’m the founder, but I really think it’s the perfect gift for any child whose parents are constantly managing the influx of stuff. 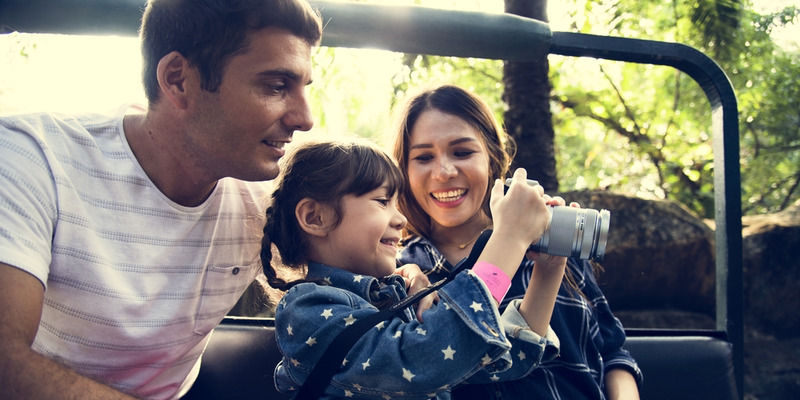 This way, kids can save up for one big gift or experience. Mimi Chan is the founder and CEO of Littlefund, @littlefund. She currently resides in San Francisco with her husband, daughter Liv, and one more little one on the way. In her spare time, she enjoys capturing her daughter’s weird sleep positions on her Instagram stories. 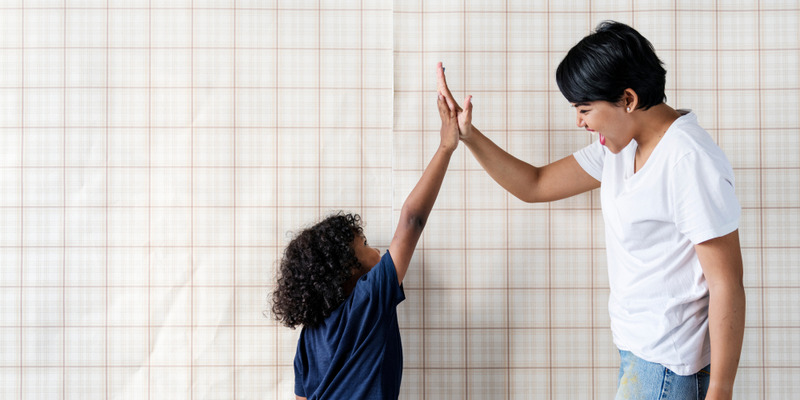 This article was written by Mimi Chan from Working Mother and was legally licensed through the NewsCred publisher network. Please direct all licensing questions to legal@newscred.com. Marker pen, gravy and glue. If I had $1 for every time the oldest comes home from school wearing one or all three of those items I would be significantly richer than I am now. The question is: how best to remove them? 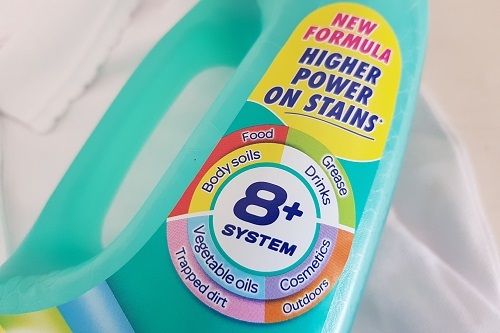 If you’ve got one or more kids at school like me you’ll know stains go with the territory – ranging from the innocent to the best-not-think-about-it downright suspicious. My attitude to these stains ranges from the ‘must remove said stain immediately’ to the ‘it can wait until the weekend’ sort of a stain, depending on where we are in the working week, and indeed the school year. I’ve acquired quite an armoury of products to deal with these stains, and I’m a sucker for new ones to help in the constant battle too. So, what’s in my armoury at the moment? 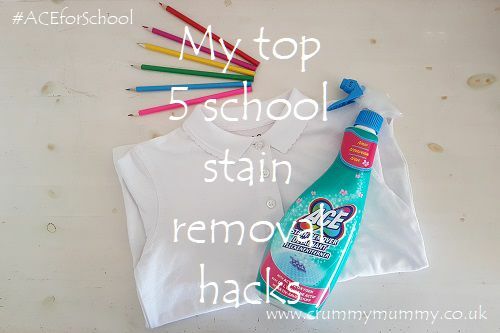 A month into the new school year and with half term rapidly approaching I thought now would be a good time to share my top 5 school stain removal hacks. Now blackboards have been superseded by whiteboards there’s a new stain in town: the dreaded whiteboard marker. They come in every colour of the rainbow and in our school the kids are allowed and even encouraged to use them. Who in their right mind lets a child loose with a marker pen? Sadly, they don’t simply wipe off their school uniform like they do the whiteboard, either. 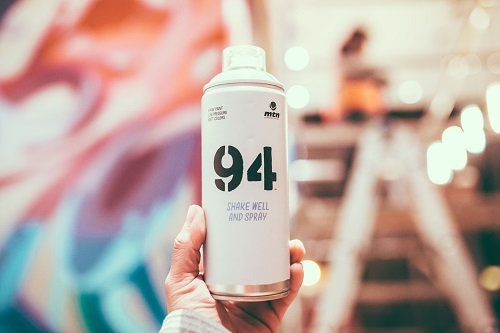 Hairspray. Put kitchen roll under the item of clothing and area of the stain, then spray it within an inch of its life. Blot the stain and repeat the process until the stain is gone, then wash as normal. Yes, I am talking number twos (not whole ones, but marks left by them). I don’t know what it is about school compared with home (I’m pretty sure tracing paper loo roll was outlawed years ago) but I regularly find tyre marks in undercrackers (don’t worry, I’ll spare you a picture). ACE for Colours. 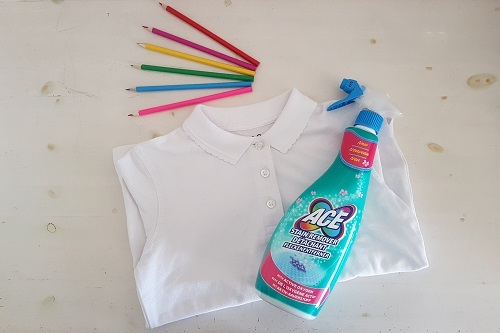 I love a new find and ACE is one of my latest – if you haven’t heard of ACE for Colours before it’s a liquid stain remover (£2) with an ‘8+ system’ designed to tackle stubborn stains including ‘body soils’, which is a polite way of saying code brown. Just fill the dosing cap with ACE, stick it in the machine on top of the offending item and bingo: tyre marks have vanished. What do they put in school gravy? My goodness the stuff sticks! Roast dinner is on Thursdays where we are, and you can put money on the oldest coming home with a splattered front and dipped cuffs. Owing to the fact it’s Thursday you could just leave it (no-one’s spotlessly clean on a Friday, right?) but if you really can’t stand it or gravy is served up earlier in the week there is an answer. ACE Stain Remover, which I discovered alongside ACE for Colours. There’s no need for a full wash and dry for this one, a simple sponge down will do: just spray some ACE stain remover directly onto a sponge or cloth and apply it to the gravy stain. As well as taking away the stain it also takes away the smell – leaving a fresh one in its place! 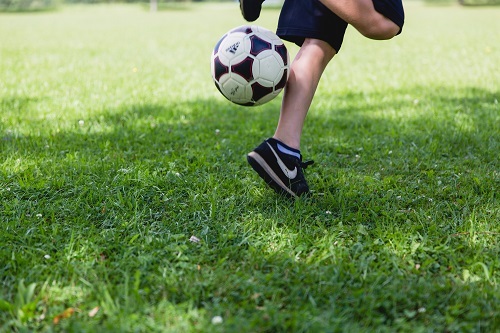 If they play on a field grass stains are inevitable, the question is what’s the best way to tackle them? Forget washing uniform over and over again in the vain hope the stains will eventually fade – there’s a far easier solution. White vinegar and baking soda – and a bit of old-fashioned elbow grease. Pour the vinegar into a bowl, soak the stain (or stains – there’s never just one, is there) for 10 minutes, then remove from the bowl. Dip an old toothbrush in the vinegar, and then dip it in the baking soda. Using a circular motion scrub the stain with the toothbrush until it’s gone, then wash as normal. It really works, I promise! Remember that glue we used to have when we were at school that peeled off when it dried? Well they don’t appear to use that anymore. I don’t know what type of glue it is but what I do know is that they use it a lot and it doesn’t come off easily. Even worse, it sometimes contains glitter (and I hate glitter). Cold water and liquid laundry detergent. Make sure the glue is completely dry, then scrape off as much as you can. Soak the item of clothing in cold water overnight, then massage liquid laundry detergent into the stain. Wash as normal at your usual temperature, et voila! Do you have any school stain removal hacks? I’d love to know what they are – the weirder the better! Easy outfits you can create with stuff you probably already have in your home. Whether your child or you had a change of heart about your initial Halloween attire, or you just haven’t thought about costume ideas until now, no worries—it’s going to be all right. With limited time and supplies, you just need to get creative with what you’ve got. And you know what? Sometimes DIY costumes look better than their in-store equivalents (even if they did only take 10 minutes and a few dollars to make). We’ve gathered 16 adorbs Halloween costume ideas for both your kids and yourself to make last-minute, using clothes and materials you already have at home (well, maybe just a few supplies from your local crafts store). Even your baby can get in on dressing up for Halloween by going as a rad, retro aerobics instructor. So cute! The recipe for this costume is super simple: put your baby’s pants on before putting on the bodysuit, and then add DIY legwarmers and a headband. Make sure, of course, to keep the color scheme fun, neon or bright. To get even more festive, create a felt boombox—it’ll make your already adorable Halloween pics of your baby even better. For the headband: Any soft headband will work here. Fun colors and patterns are the best! For the legwarmers: Cut the feet off of old socks for instant baby leg warmers. Pro tip: Make sure the baby pants are UNDER the babysuit for the full effect! To dress up your kid or yourself, wear a tank or t-shirt in a neon color and shorts layered over funky patterned leggings. Complete the look with legwarmers created from old socks, a headband and sneakers. Dressing up as a scarecrow never fails. Scarecrows are supposed to be frightening, but on Halloween, they’re totally cute! For this unisex costume that works for adults or kids, pair jeans with a flannel plaid button down, boots and a floppy hat. Tie a bandana around the neck, draw on some scarecrow makeup, and, if you can, have cornhusks stick out from your hat, sleeves and jeans. To represent this cultural icon on Halloween, it’s all about the blue button down (chambray, preferred, and with sleeves rolled up) paired with black or denim pants and work boots. Then tie a small red bandana or red and white polka dot scarf around your head like a headband. The finishing touch: a swipe of bright red lipstick. And don’t forget to flex those muscles for every photo op! For a group costume, have every person in your family dress up as a different colored crayon. Here’s another costume idea requiring clothes you can easily use for another purpose outside of Halloween, or clothes your kid already has in his closet. All you have to do is create a hat and anklet. For the hat: Find sturdy paper the same color as your PJs and form a cone. Trim the top of the cone to create a blunt, flat top. Cut out a circle for the brim of the crayon and place it over the cone and trace cone in the center. Cut out the center circle, leaving a ring that will become the brim. In the opening of the cone, make a series of 1-inch cuts around the open edge of the cone and fold them outward to create tabs. Fit the brim ring over the top of the cone and attach the tabs to the brim using glue or tape. Cut a series of 1-inch strips of paper and join them to make one long strip. Wrap the strip around the brim of the hat and use a few pieces of masking tape to fit it snugly. Then glue the seam together and allow to dry completely before removing the tape. Finally, glue two ribbons (about 20 inches on each side of the brim) to tie under the neck. For the anklets: Cut a zig-zag pattern out of a strip of black felt and attach to ankles using double-sided fabric tape. If there’s time, draw skeleton makeup on your child’s face, or buy a skeleton mask. Does your kid have an old black shirt your kid he never wears anymore? Flip it inside out, and use it to create this creepy skeleton costume. Be aware though: you’re going to have to cut it up! Trim a piece of freezer paper to approximately the size of the front of the black t-shirt. Use a marker to draw a rib cage design on the freezer paper and iron it to the front of the black t-shirt. Use the shears to carefully cut out the rib cage design. Cut through the fabric of the t-shirt and the freezer paper together. Remove the freezer paper. Wear the cut black t-shirt with a white t-shirt underneath for a quick spooky homemade costume idea. Add any skeleton mask for added eeriness. To make yourself look even more like Audrey, fill in and define your brows with brow powder or pencil. For this elegant retro look, now is the time to bust out your favorite little black dress and pearl necklaces so you resemble Audrey Hepburn’s character Holly Golightly from Breakfast at Tiffany’s. Put your hair in a bun, wear heels, add some long black gloves, and you’re done. Bright red wig not required. Dress up PJs in with pom-poms and a paper collar for a fun and cute kid’s clown costume. For the hat: Glue a pom-pom on top of a simple paper party hat. Easy peasy. For the collar: Use sturdy cardstock to fold into a fan and attach it to a paper collar, measured for the child’s neck. Secure the collar with sturdy tape or a paper clip. For the clown suit: Use double-sided fabric tape to attach two or three big pom-poms down the torso. Adding glitter is totally optional. For this kid costume, you can use an actual leotard and tutu, or substitute in a short-sleeve top and flutter skirt. Add in tights and ballet flats, put your kid’s hair in a bun, and you’re good to go. Again, glittery is totally optional, but very preferred. What child doesn’t own a hoodie and pj pants? The key here is choosing a pastel color for these pieces that’s reminiscent of the shades you’d find in My Little Pony—and of course, DIYing a horn, ears, mane and tail. For the horn and ears: With white felt, create a tall cone, then wrap it in gold metallic cord and hot glue it to the cone. Cut a small circle of white felt and glue to the bottom of the cone to close the hole. Tape or glue the horn to a headband. Next, cut 2 large tear-drop shapes from the white felt and 2 smaller tear-drop shapes from the pink felt. Glue the pink felt on top of the white felt, then use a drop of hot glue and pinch the bottoms together creating an ear shape. Add the ears to the headband on either side. For the mane: Cut 1×4 inch strips of white felt and adhere in a straight line down the center, from tip of the hood down to the hem. For the tail: Cut a handful of 1×10 inch strips of white felt for the tail. Knot them together and adhere to the seat with a safety pin. The Halloween costume that never goes out of style. Ahh—one of the most classic costumes of all: the witch. For this extremely simple costume, all you have to do is buy a witch hat, wear all black, put on some very dark red lipstick, and call it a day. Just make sure your kid is careful wearing this costume! Your child will get all the fun of a bubble bath, minus the soapy suds with this quick-to-make Halloween costume. Add some toys from your bathtub at home and you’re done! Blow up enough white and clear balloons to cover the shirt. Tie the balloons closed securely, and use safety pins or tape to attach the balloons to the shirt. Attach the mix of white and clear balloons randomly to the shirt to look like suds. Another Halloween outfit idea that’s classic. Meow! No one can resist an adorable cat on Halloween. This look requires stuff you already have at home, allowing you to put this costume together in record time. Using the face paint or eyeliner, draw a nose and whiskers on your child’s face. Add the optional cat-ear headband and you’re set! For a secure fit, strategically add safety pins. Halloween is the perfect time to dress up as the living dead—especially if the costume is as easy to make as this one! Cut the white sheet or fabric into long strips. If you and your child want an older-looking mummy costume, use coffee or tea water. Make the colored water by either brewing coffee and watering it down to the desired shade of brown or by using tea to do the same. Then put the liquid in a large pot or container and soak the strips for about two hours. Rinse the strips and let them air dry. Once the strips are done, simply tie them one-by-one around your child, attaching the end of one strip to the beginning of another. You can also apply gel to flatten your child’s hairstyle for geek-chic effect. Hey, who said being smart wasn’t cool? This DIY nerd costume will bring out the brainiac in any kid, and the best part is, you probably have all the materials already. Pro Tip: The 3D glasses you took home from the movies make for awesome nerd glasses! 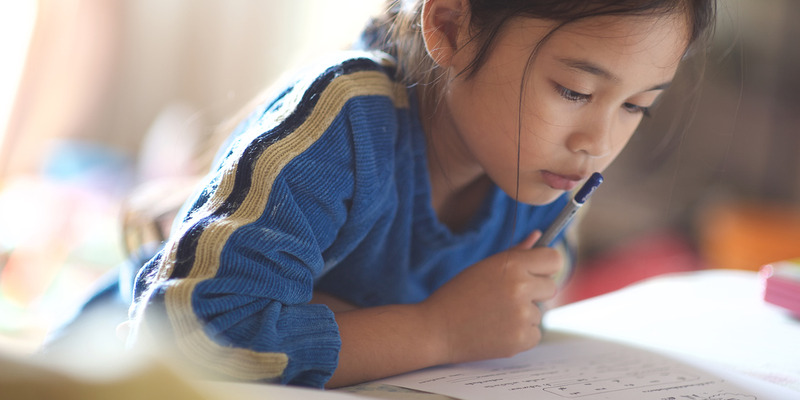 Tuck a pencil behind your child’s ear for an added smarty-pants effect. Add another expression to the back of your emoji, so you can “change moods” throughout the day. We all know and love emojis, so why not honor them on Halloween too? Cut out a large circle from poster board, paint it yellow, and paint on some expressions. 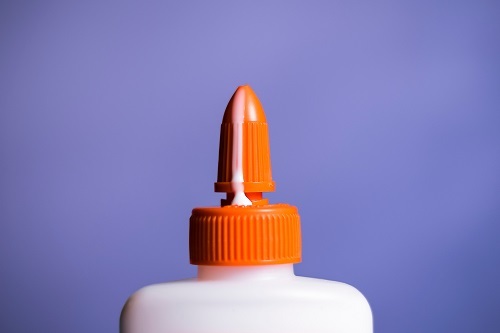 To make carrying it around easier, glue a paint stirrer to the back to create a handle. You can wear it with yellow clothing to further emphasize your costume. You can add a beret if you want to go more traditional. Pair a black-and-white striped shirt with black pants, and then put white face paint all over your face. Apply black eyeliner to eyelids, and use the eyeliner to draw thin lines for brows. Finish with a coat of bright red lipstick. 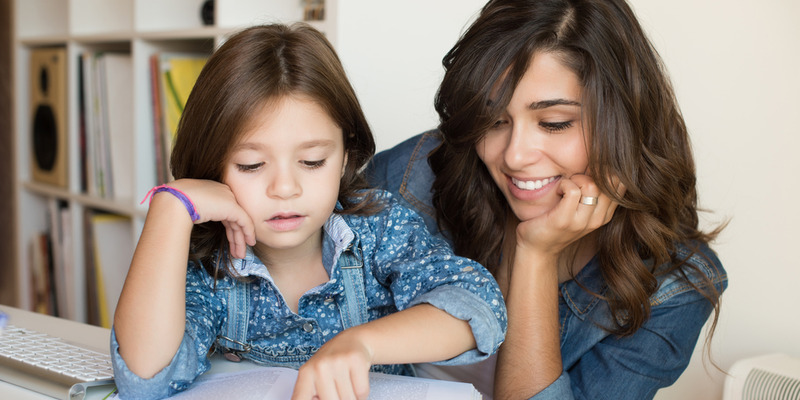 This article was written by Maricar Santos from Working Mother and was legally licensed through the NewsCred publisher network. Please direct all licensing questions to legal@newscred.com. Time to scoop up some pumpkins and bust out ye olde witch garb, friends: All Hallows’ Eve is comin’ up fast. 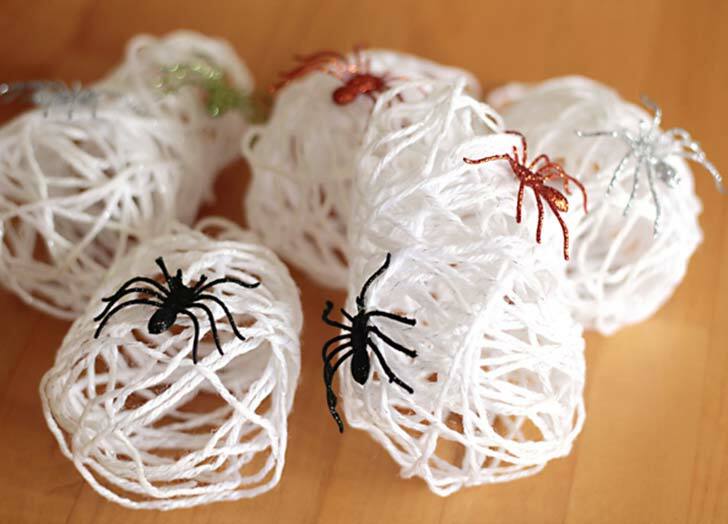 Looking for some spooky inspiration for this year’s decor? 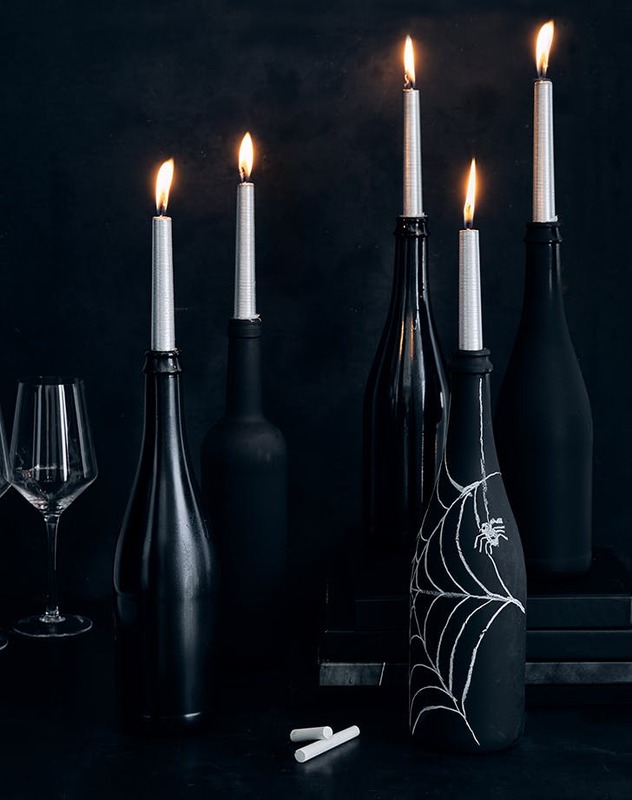 Below, the freshest, most-buzzed-about Halloween hooks—according to Pinterest’s 2018 Pinfrights report. 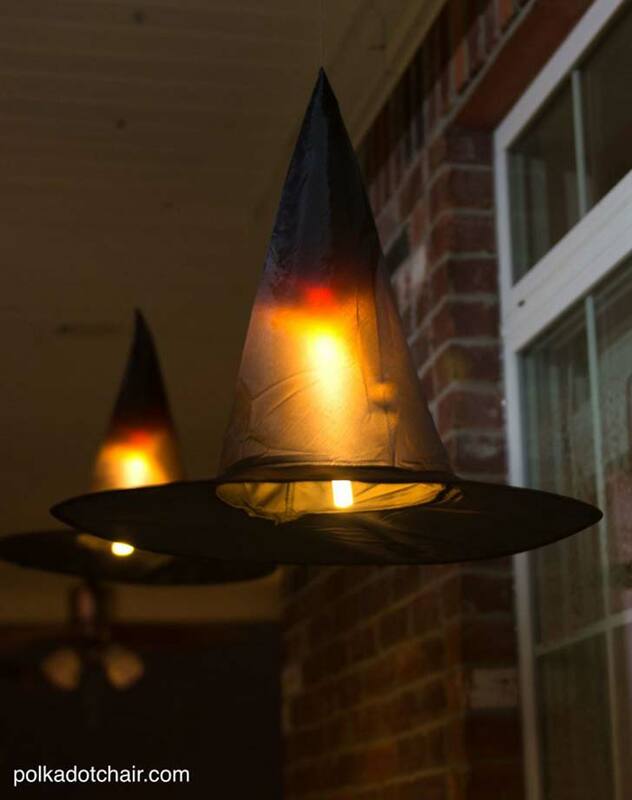 We love this one: Use a fishing line and LED clip-on lights to turn witches hats into front porch phantoms. Psst: These chic vessels will get eerier and eerier as the wax melts down. 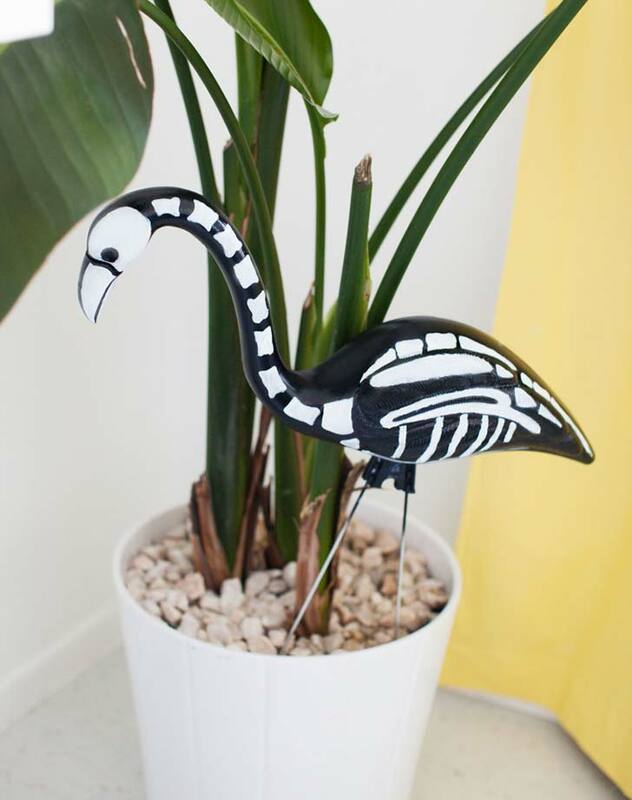 Skeletons are spooky—but we think these little flamingo versions are pretty darn cute. 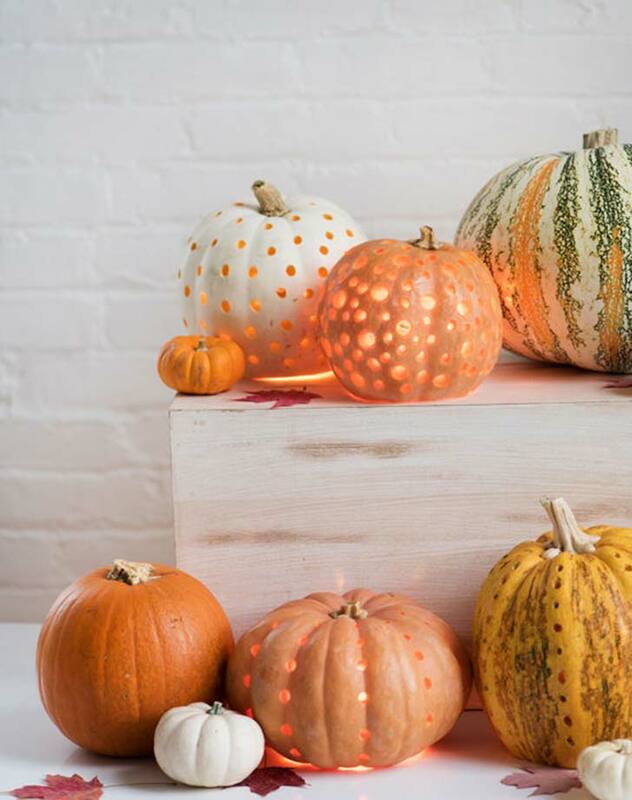 The prettiest and most festive of DIYs: Drill bit, pumpkins, done. If you’re anything like us, then you know what it’s like to spend Halloween trying your hardest not to consume the entire candy stash before the first kid knocks on your door. But if you can’t trust yourself sitting beside that Costco-size box of chocolate bars all night (who can?! ), consider stocking up on these 13 healthier Halloween snacks. They offer kiddos more balanced options but also won’t make you feel like crap if you can’t stop at just one. Packed with a half-cup of organic fruit and veggies per strip, plus fiber-rich flaxseeds and a touch of cinnamon, these no-sugar-added snacks are a smart way to get your sweet fix on October 31. They’re also gluten-free, vegan, non-GMO, and have less than 20 calories per bar (not that we are counting, but that’s pretty good). With organic fruit pureé as the first ingredient and no artificial flavors, colors, or preservatives, moms and dads won’t mind popping these fruity bites into kiddo’s lunch for a healthier post-Halloween snack. Neighborhood mamas and dads are going to be pumped when they find these in their kids’ candy bag. The better-for-you cups are made with organic dark chocolate and organic peanuts and offer 4 grams of protein per two-cup package. Sorry, kids, we might have to confiscate your bag for these. Each individually wrapped truffle features a whole dried fruit coated in rich dark chocolate with just 50 to 70 calories per piece. They’re available as a mixed box with prunes, cranberries, and apricots, so you can give ’em to the kids who could use a more natural chocolate fix this fall (so, all of them). Every editorial product is independently selected by our editors. If you buy something through one of our links, we may earn a commission. But don’t worry, it doesn’t cost you anything extra, and we wouldn’t recommend a product if we didn’t love it as much as we love puppies. 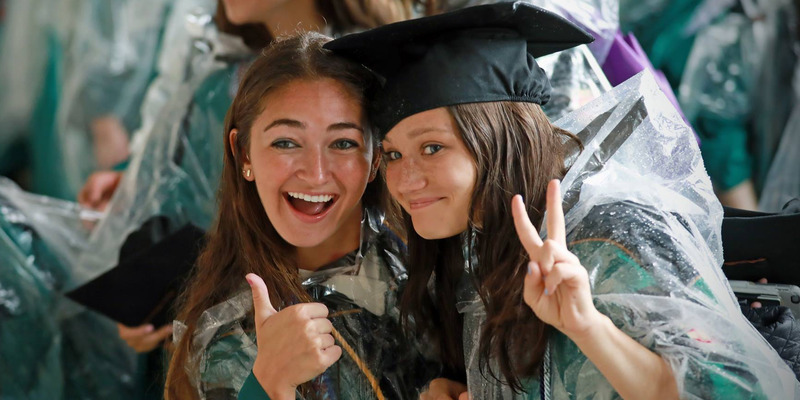 This article was written by Abbey Sharp from Greatist and was legally licensed through the NewsCred publisher network. Please direct all licensing questions to legal@newscred.com. Step away from the box of sugary cereal. If you’re watching your weight or have a hard time keeping your hunger in check in the morning, you likely have heard how important protein is. But while it’s easy for most of us to get enough of the nutrient at dinner and lunch, breakfast can be a struggle. Bagels, cereal, and smoothies don’t always pack a big protein punch. Not to mention, if you skip your morning meal, you’re not getting any protein at all. That means you may eat less all day long, including in the evening. “That’s key because most people are inactive in the evening, and therefore less likely to burn off surplus calories consumed at that time,” Sass explains. Protein also boosts alertness so you are productive and helps stabilize blood sugar and insulin levels so you have steady energy to face the day, she adds. The ideal amount of protein at breakfast is about 30 grams, according to a review published in Advances in Nutrition in September. (Get your daily dose in these 15 high-protein foods.) However, registered dietitians say starting with at least 20 grams is a good goal for weight loss and hunger management. Ready to start your day off right? Try one of these nutritionist-approved high protein breakfasts next time you’re tempted to reach for the cereal box. “Some mornings I find myself craving a traditional ‘egg platter’ type of meal that you find in most diners,” says Georgia Rounder, RDN, CDN. To make your own (without the grease some diners cook in), she suggests scrambling two eggs and cooking a link of organic chicken sausage. Toast a slice of whole-grain bread topped with jam, add a cup of joe, and you have a DIY diner meal. Eggs are a no-brainer for protein. Sass suggests mixing in veggies and herbs and topping with avocado for healthy fats, which will boost the satiety factor. Using three eggs will give you about 19 grams of protein, so fold in some cheese or meat if you want to get closer to 30 grams. Cottage cheese is a great start to the day. Half a cup of 1-percent cottage cheese has 14 grams of protein and only about 80 calories, so scoop out the proper portion for your needs. “Combine with chopped or shredded veggies like spinach, bell pepper, tomatoes, zucchini, and red onion, and mix with EVOO-based dairy-free pesto. Chill overnight and grab to go in the a.m.,” Sass says. If you prefer a sweeter breakfast, top with fiber-rich berries instead. Perfect for vegans and meat-eaters alike, tofu can mimic eggs. “Crumble a block of tofu in a pan and ‘scramble’ it like you would eggs, adding your favorite veggies, herbs, and spices for flavor,” says Ginger Hultin, RD, a Seattle-based spokesperson for the Academy of Nutrition and Dietetics. Half of the recipe gives you about 22 grams of protein. Extra-firm tofu tends to work best, and if you have time to press it first, go for it. Your scramble will still be yummy if you don’t press it, though. There’s no reason you can’t combine plant proteins with the incredible edible egg to diversify your nutrient intake. “Scramble two eggs with 1/4 of a block of extra-firm tofu, tomato, and freshly ground black pepper,” says Keri Gans, RDN, nutritionist and author of The Small Change Diet. She suggests enjoying your scramble on 100-percent whole-grain bread. Although you can have it savory in the morning too, quinoa also makes a good sweet breakfast if you’re sick of oats. “This whole grain contains 12 grams of protein in just 1/2 cup uncooked,” says Hultin, who recommends adding in more protein by topping with nuts, seeds, and soy milk (which contains about 8 grams in one cup). Plus, it’s fairly quick to cook, or you can make it the night before and reheat in the morning. With 20-plus grams of protein per cup, there’s good reason this thick, creamy yogurt is a go-to breakfast. “Yogurt parfaits are hands-down one of my favorite high-protein breakfasts,” Rounder says. She tops plain, full-fat Greek yogurt with whatever toppings she’s in the mood for-usually a combination of walnuts (for added protein and healthy fat), berries (for fiber), a few spoonfuls of granola (for crunch), and a drizzle of honey (extra sweetness!). By itself, oatmeal isn’t high in protein. But you can easily increase that amount. “Make it with one cup of nonfat or low-fat milk, 2 tablespoons of natural peanut butter, and chia seeds,” Gans suggests. Add some berries or banana on top if you crave something sweet in the morning. Avocado toast is still trendy, but just toast and avocado doesn’t add up to a ton of protein. An easy solution: Add two eggs, cooked however you like. “Throw them on top of a piece of whole-grain bread, avocado, and some Trader Joe’s Everything But the Bagel seasoning for an extra kick,” Rounder says. It’s not a traditional morning meal for most Americans, but a salad is great any time of day and helps you get in those veggies first thing in the morning. “Stir an EVOO-balsamic dressing into canned wild salmon. Place the salmon over a bed of greens along with a scoop of lentils and a sprinkle of chopped nuts,” Sass suggests. Plus, it’s easy to prep the night before if you want to take it on the go. If you’re not in the mood for eggs, try 4 ounces of smoked salmon, or lox, which has about 20 grams of protein. “Top 100-percent whole-grain bread with tofu-scallion cream cheese, lox, avocado, and diced red onion and tomato,” Gans suggests. Next time you make your favorite overnight oats, stir in a scoop of protein powder, Sass says. Combine the oats and plain or vanilla-flavored protein powder (unless chocolate goes with your other flavors), then add water or unsweetened nut milk. Stir until well combined. Let the oats soak in the fridge until the morning, then top with berries and pumpkin seeds. “This sounds weird, but it totally works,” Kubal says. “A lot of my clients travel and take some deli turkey and veggies and guac, and call it breakfast.” You could also pack jerky, she says, which has the added benefit of being shelf-stable. Switch up your morning slice by topping whole-grain bread with a few spoonfuls of cottage cheese instead of your go-to cream cheese or avocado. Add a sprinkle of cinnamon, a drizzle of honey, and a handful of nuts for extra crunch and protein. This combo is super versatile, so if you prefer savory toast, you can top with veggies and nuts instead. A bagel breakfast doesn’t have to be all carbs. It’s all about portions and proper toppings. “Top either half a whole-wheat bagel or whole-grain crackers with smoked salmon, a tablespoon of whipped cream cheese, capers, and some salt and pepper for a high-protein breakfast that always hits the spot,” Rounder says. Another way to make high-protein oats is to stir in cottage cheese or Greek yogurt. Top with nuts or seeds, and you have a breakfast that’ s high in protein and fiber for a one-two hunger-fighting punch. We’re all looking for a quick bite as we get ourselves and the kids ready to dash out the door. Leftovers can be a great solution-simply reheat. “Include poultry or fish, herb-sautéed veggies, extra-virgin olive oil, and a small portion of a healthy starch, like sweet potato or brown rice,” Sass recommends, so you have a well-rounded meal to keep you full and meet all your nutritional needs. 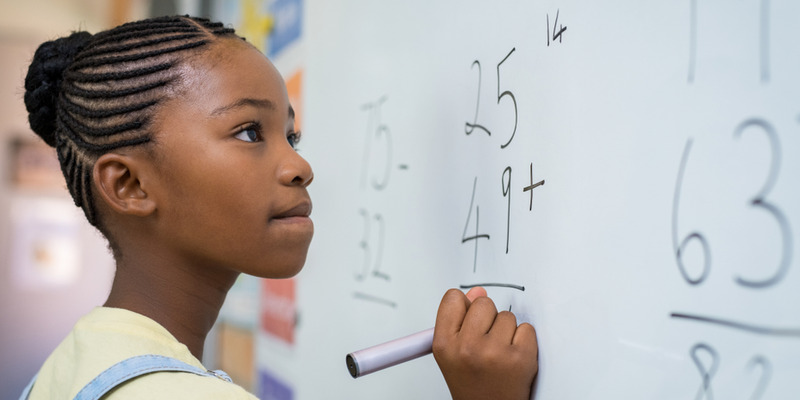 This article was written by Brittany Risher from Prevention and was legally licensed through the NewsCred publisher network. Please direct all licensing questions to legal@newscred.com. Make like PureWow Coterie member Maria Lichty and have your kids stir in the candy. Bats, monsters and spiders, oh my. Let the kids assemble, then watch them melt in the oven. Googly eyes? Check. Sprinkles? Double check. The kids can attach the legs; you can eat the leftovers. Much less scary than the real thing. Grab some forks and let them go wild. Getting your kids in the kitchen has never been easier. Using pre-made caramel candies makes this kid-friendly. Bonus points for the plastic vampire teeth. Frighteningly good, and sorta healthy. As fun to make as they are to eat. Halloween is fast approaching, and you had so many grand ambitions of making that complicated Where the Wild Things Are costume from scratch. But while you may not be up for a huge project, you can still DIY it. Here, six clever ideas you can throw together practically overnight. It’s as simple as putting the pants under the pastel-colored onesie you already own. And you can make the leg warmers by cutting off the feet on a pair of kid-sized socks. 80s genius. The scarf is the key item in this magic (vs. muggle) inspired look, dreamed up by Leah and Jenni over at Love & Lion. Peep your local Good Will store or comb through your closet to find one—anything in a burgundy(ish) hue will do—then throw on a white tee, casual black hoodie and oversized glasses. The true marker of Harry Potter is that penciled on forehead lightning bolt, after all. Yep, the Stranger Things character is still totally on trend. All you really need is a pink dress, blue cardi and knee socks. Oh, and a box of Eggo Waffles. Dress your kid all in white and affix white (or transparent) balloons to his clothes. Done and done. Yep, the aardvark—and star—of the PBS Kids TV show is also one of the easier Halloween costumes to pull off. All you need is a denim bottom, mustard-colored top, oversized glasses and paper ears, according to blogger Arin Solange. To pull off this Beauty and the Beast ensemble, just pair a sleeveless yellow dress with white above-the-elbow gloves. Oh, and the ultimate prop to finish the look: a rose. Fast food has changed quite a bit in recent years. In addition to the usual burgers and fries on the menu, most restaurants now also offer healthier options like wraps, salads, fruit and yogurt. But that doesn’t mean everyone is eating well or as well they should. In fact, a new study out of the University of Connecticut’s Rudd Center for Food Policy and Obesity found that American children are eating more fast food now than ever before. The study polled roughly 800 parents — in 2010, 2013 and 2016 — regarding their children’s eating habits, particularly those at the nation’s four largest fast-food chains: McDonald’s, Burger King, Wendy’s and Subway. According to the results, 91 percent of those surveyed bought at least one meal for their child from a fast-food eatery each week, which is up from 79 percent in 2010. What’s more, 74 percent of the kids ordered an unhealthy drink and/or side items with their meal. That said, Harris acknowledged that fast-food restaurants have made great strides in recent years. 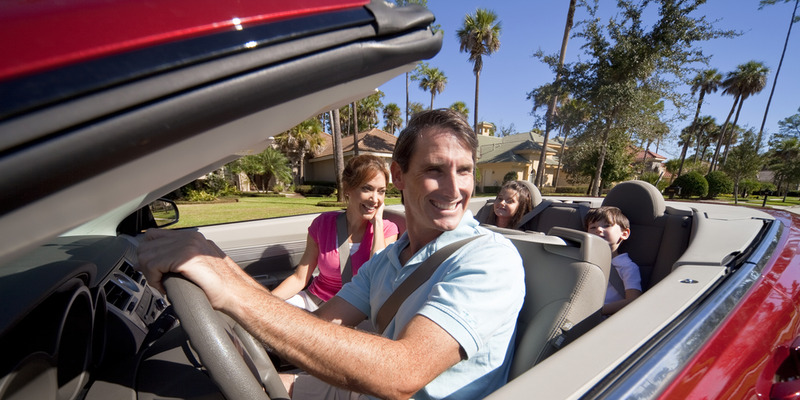 However, they need to do more to educate parents about the options they have. As such, the best thing parents can do is to research each chain’s menu and keep an eye out for healthy items and encourage kids to opt for those over the deep-fried offerings. 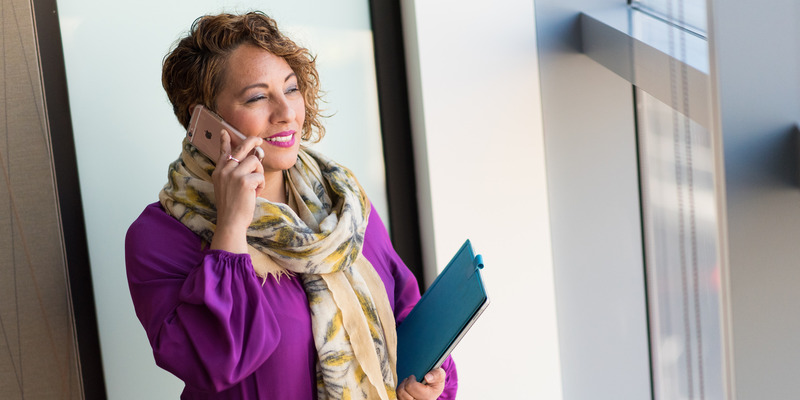 This article was written by Kimberly Zapata from SheKnows and was legally licensed through the NewsCred publisher network. Please direct all licensing questions to legal@newscred.com.